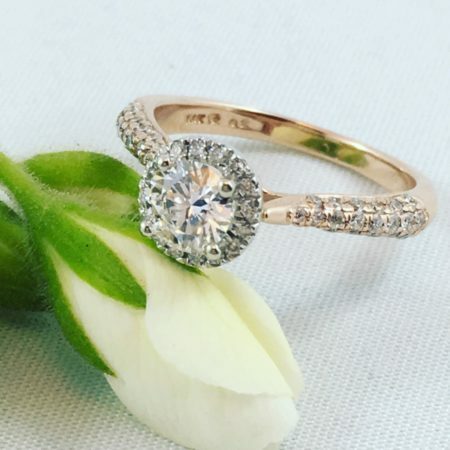 When the time comes to create your engagement ring or custom jewelry design, get in touch with us by filling out our contact form or call 204-951-7040 to speak to our designer. Feel free to send us photos of any designs you love as well as anything that inspires you. This can include photos of architecture or things in nature. 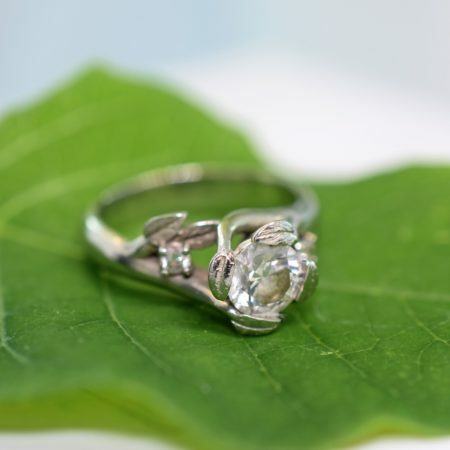 Over the past years we have created many custom jewelry pieces and rings inspired by everything from butterflies to apple trees! You can also choose to be as involved as you wish in this process. If you do not have any specific ideas for a design we can certainly come up with something special just for you as well! 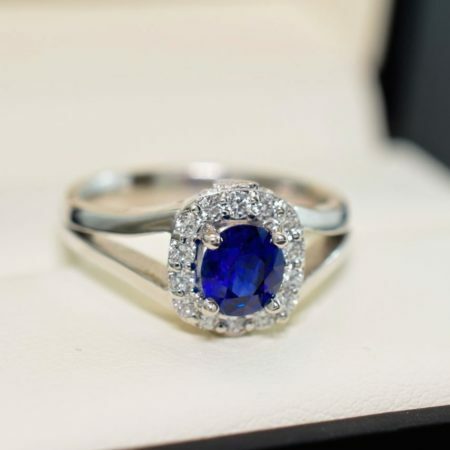 We will also walk you through the steps of choosing the perfect diamond, sapphire or other precious gemstones for your design. 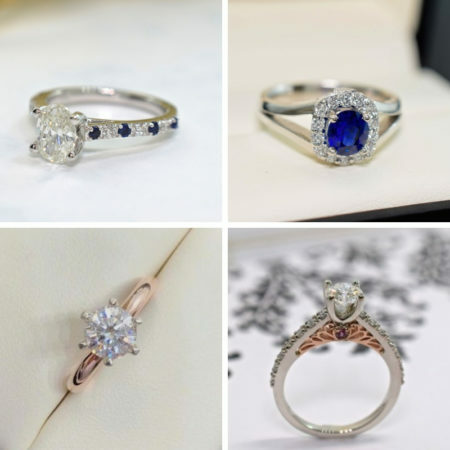 Thanks to our unique and low overhead business model, we are able to provide excellent pricing on the highest quality diamonds and gemstones. 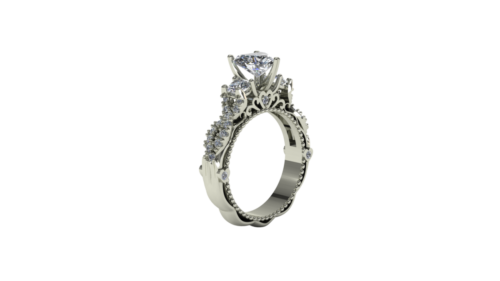 Once we have discussed the design, we will create some computer images of the design to show you, known as CAD images (computer aided design) which will give you an accurate representation of your custom jewelry design. At this point you can suggest any changes. The above images show a before and after of a vintage style heart shaped diamond engagement ring. As you can see, the CAD images show a very realistic representation of how the design will look when it is finished. 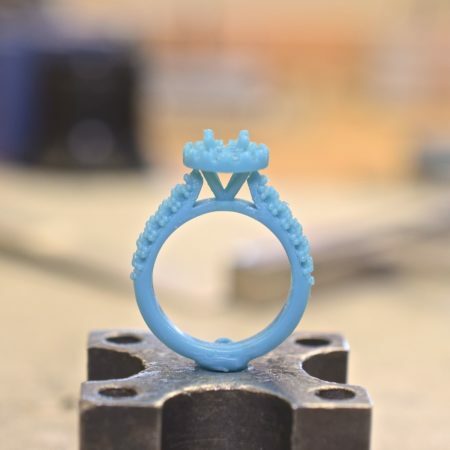 In the next step, once your custom jewelry design has been agreed upon, our team will create a realistic wax model by 3D printing your design using the data from the CAD image. This process is often a favourite step with our clients as it allows them to see their design come to life in physical form. 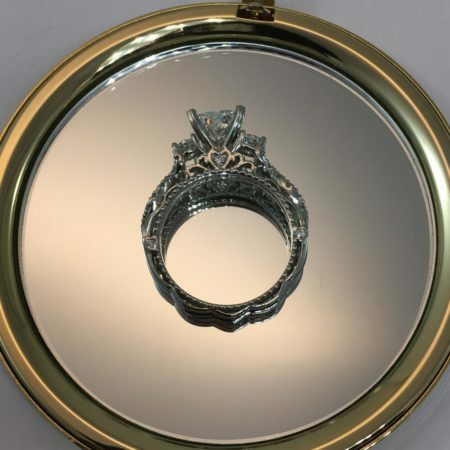 During this stage, we will contact you to come in to view your design model, at which point you can suggest any changes, as these modifications can be done directly to the wax model or a new model can be printed out. Once you are completely satisfied with the design we will proceed to the third and final step! 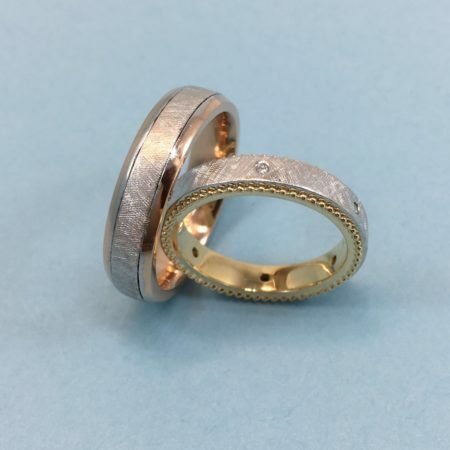 In the final stage, our expert team will forge your design in precious metal such as gold or platinum. 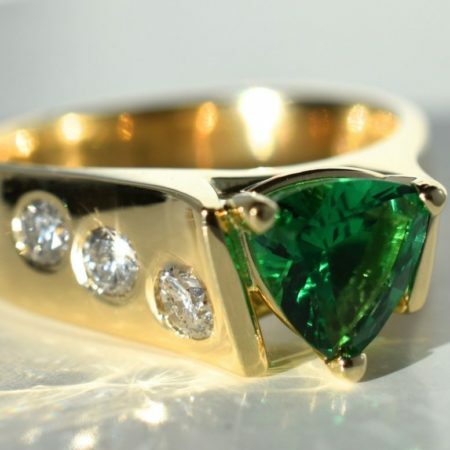 At this point, our master goldsmith will polish your design and set the diamond and precious gemstones. At this point we will call you to pick up your masterpiece or if you are out of the provence we will arrange for priority insured shipping! Examples of custom jewelry created by us! Here are some examples of custom jewelry pieces that we have created for our clients. 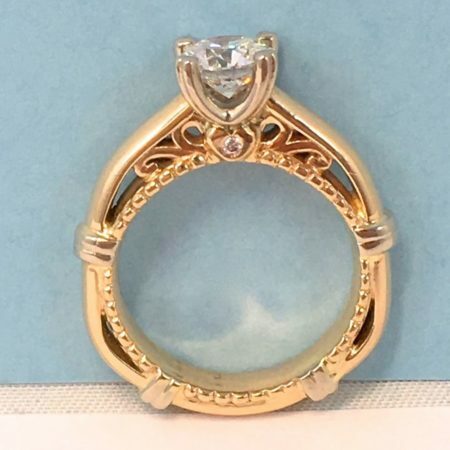 Thanks very much for checking our this article on creating your perfect custom jewelry in Winnipeg. 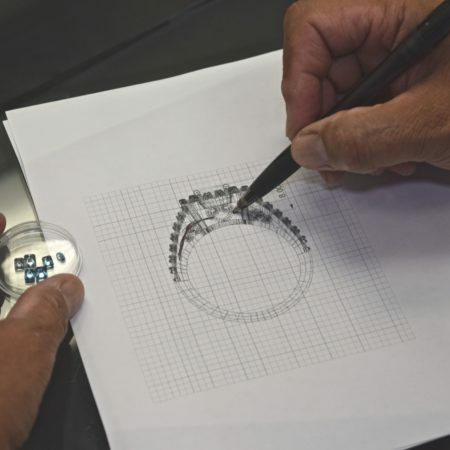 We hope you have enjoyed learning more about the custom jewelry design process. Don’t forget to keep in touch by following us on facebook, twitter or instagram! 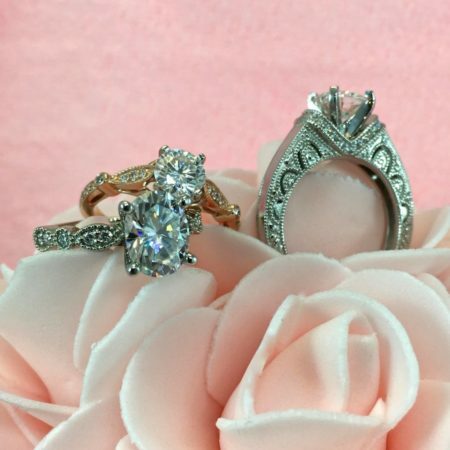 For more engagement ring and jewelry inspiration feel free to check out our other articles on diamond ring designs similar to Jennifer Lopez’s engagement ring as well as this great article on people magazine’s website on the top celebrity engagement rings. 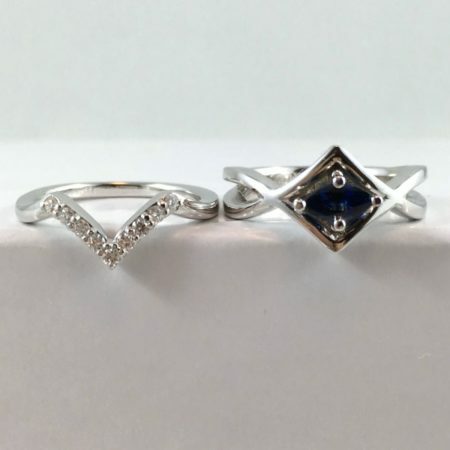 Ready to create your own piece of custom jewelry in Winnipeg? 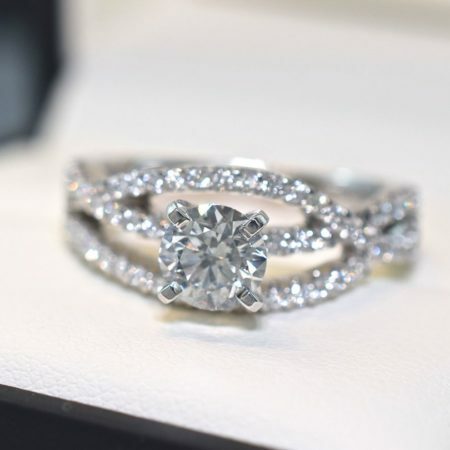 Contact Omori Diamonds now to book your free appointment with an expert designer!